Visionary leader to guide customer experience, solutions engineering and product development. 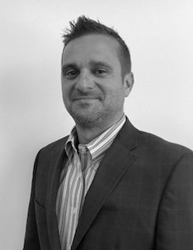 CallTower is pleased to announce Jason Ulm, as the VP of Product and Customer Success. Jason has more than 20-years of telecommunications experience and over ten years in executive leadership. Prior to joining CallTower, Jason was the VP of Sales at Appia Communications, which was acquired by CallTower in early 2018. In this new role, Jason will manage CallTower’s Product, Customer Success and Solutions Engineering teams as well as join the Executive leadership team. Jason’s vision will deliver customer programs that will continue to ensure and expand adoption and experience, while further developing CallTower’s portfolio of solutions.